We are instrumental in offering our clients a high-quality range of Air Turbo Ventilators. These ventilators are installed in factories, warehouses and industrial plants to circulate the air inside the building. 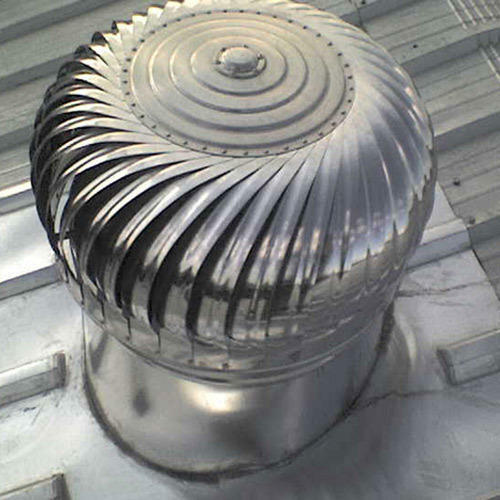 Air roof ventilators are developed with different materials like stainless steel, high-grade aluminum & other allied material. Turbo Ventilators provide energy free cooling and fresh air. This System functions and performs with the unlimited energy source like wind energy thus saving running cost exhaust fans, wiring, maintenance etc. Turbo Ventilators does not require any power or electricity to operate. It continuously in motion with the wind removes extremely hot air in the summer. In line with industry standard, we provide the entire range in various customized options and at affordable prices.